Christmas is now only days away. 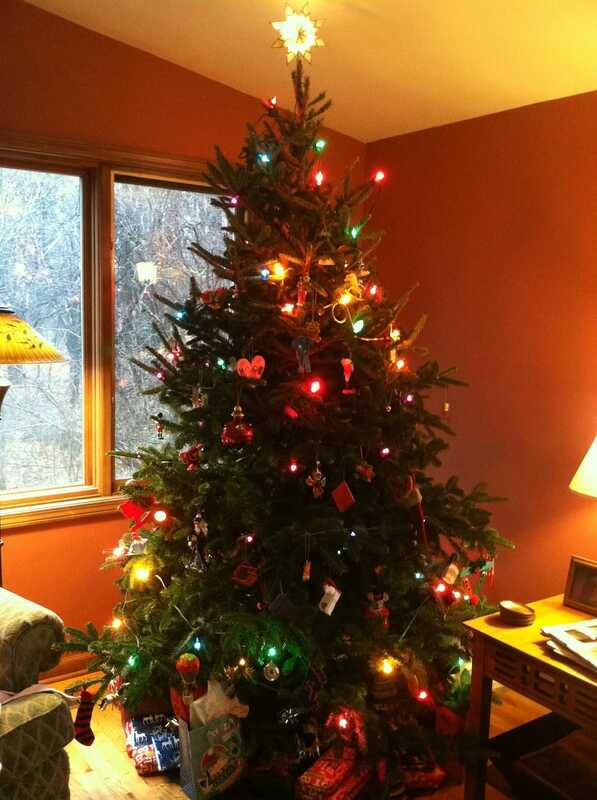 If you are anything like me, I usually tend to wait to the last minute to put up decorations. That means the weekend before Christmas I can usually be found tangled in a couple strings of lights, wildly shaking and unraveling them, quickly losing my patience. It is usually a debacle. This year I decided to buy a light tester, to at least alleviate some of the hassle of fixing the lights. Honestly my hopes weren’t very high. I couldn’t even find a tester at any of the stores I went to; they had all sold out the weekend before. I had all but given up until I went to Target one last time to help my sister find wrapping paper and some gift bags. I casually walked to the back corner where I was told the light testers would be and low and behold I found the Light Keeper Pro. I was underwhelmed. The tool looked like a toy phaser from Star Trek. It was clearly cheaply made and had gaudy purple and yellow packaging. I still went ahead and picked it up, the last one. According to the packaging it was, “The complete tool for fixing light sets and pre-lit trees.” What did intrigue me, and surprise me, was the presence of a QR Code on the front of the packaging (Author Fact: I love QR Codes). I scanned it with the Red Laser barcode scanning app and was directed to a video. It loaded and a man, covered in strings of the white demon lights I was currently fighting, addressed me. He said, “I’ll fix this set of lights in ten-” I waited for the video to buffer and assumed he’d say minutes. “Seconds.” He plugged a light socket into the Light Keeper Pro, pulled the trigger twice and the whole string lit up. I almost fell over, told my sister it was magic, like real magic, and promptly bought it. I must say, this could be my favorite purchase this holiday season, even over my Black Friday (never again), Playstation 3. 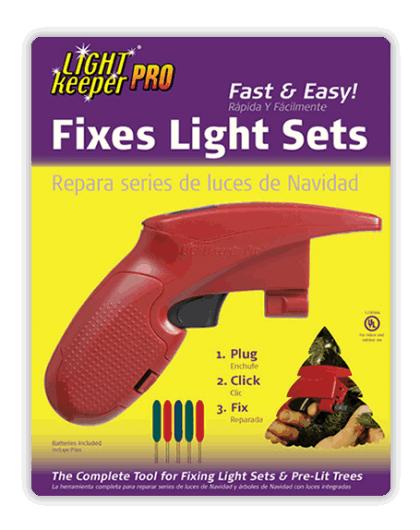 The Light Keeper Pro costs $18.99, but will save you tons of money in replacement strings of lights. I’m still not entirely sure what the tool is doing to the lights; all I know is that with a little time (read the directions, seriously I never do, but I really had to with this one), replacement bulbs and some patience, you will be fixing lights left and right with the Light Keeper Pro. The packaging tries to explain the problem with the lights as a “clogged pipe.” Each light has a shunt, a small metal piece that is supposed to carry the electricity through a burned out bulb to the other lights. Sometimes the shunts don’t activate for one reason or another, creating a sort of “chink in the armor.” The Light Keeper Pro’s “Quick Fix” utility works by sending a small pulse of electricity through the lights that activates the shunts. The “Quick Fix” option is easy to use, all you have to do is plug the lights in, remove a bulb in the unlit section of lights, place the socket in the connector on the front of the unit, and pull the trigger multiple times until the lights light up! The Light Keeper Pro also comes with a few alternatives, if the “Quick Fix” isn’t working. One of the most useful is the voltage detector. As you run the front of the machine along the light set wiring, it will beep until the voltage stops, then you can pinpoint the troublesome socket. One of the most useful features is a light bulb and fuse tester on the top of the Light Keeper Pro. Simply press the light or fuse against the metal prongs on top, if the bulb lights (or the red light on the machine for the fuse), the bulb is good to go! I won’t promise the Light Keeper Pro will fix all of your light problems, but it did fix two of my toughest. 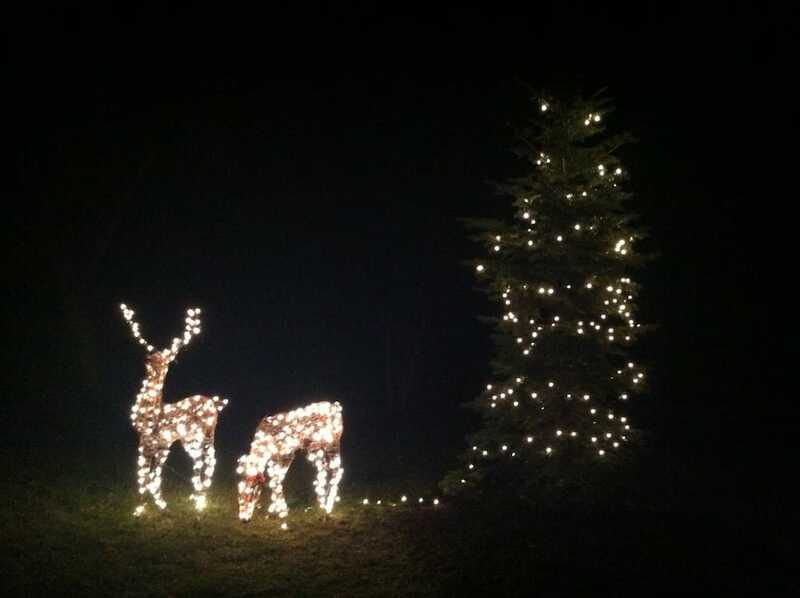 The first was a set of light up deer. The lights are embedded into the vine and metal twisting around the creatures, making it virtually impossible to reach them. With a few clicks I had them all lit. I bought my Light Keeper Pro in-store at Target, but I found one for $15.58 online from Ace Hardware.